First of all, I want to point out that this is not a way to enable some sort of secret handheld mode. This solution is more of a “think outside the box” solution and it only works efficiently for a few minigames. The trick is the following. Take out only one of the joycons from the Switch. You can choose any side that you prefer. Of course, this trick wouldn’t be needed if NDcube had implemented a way to only play the minigames that only use buttons when it detects that the system is being used in handheld mode. But well, we all know that probably won’t happen, even though they did disable the rumble based minigames if you have controller rumble disabled at system level. I can see why they say that the difficulty of the game’s “Adventure” mode suddenly jumps. It’s like if the CPU’s difficulty level was suddenly increased by two levels when reaching Boom Boom. It’s still manageable if you know what you’re doing, though. PS. I’m not sharing here the last Splatoon 2 Octo Expansion gameplay video since that’s actually an old recording from July. When version 2.0 was released for Mario Tennis Aces, I noticed that Nintendo’s support article on how to update the game (which includes the changelog) also mentioned about not being able to play in LAN mode with users who had an older version. Since I didn’t remember anyone mentioning the code for LAN Mode in Aces, I tried to find it on Nintendo’s support section. To my surprise, I didn’t find any article about that. The only articles I found where about all the other games where the info has already been shared through other means and it’s well known that these modes exist. But considering that the changelog article mentions about a LAN Mode and hoping that it isn’t just a mistake, I decided to search for the code that triggers it. After trying pressing several buttons that are used in the other games’ code, I eventually got to trigger the option to play in LAN. Hold Left Stick and then press L and R at the same time. The L and R buttons don’t need to start being pressed at the same time, just that, at one point, they are held down at the same time. Btw, the code also works in Swing Mode. And just in case, here’s the code again but in a different format. I actually had to edit this video because Camelot messed up the user interface again. When you first confirm that you want to play alone, it appears like if it’s already looking for other players to play with. Well, it’s not. You need to press the “Confirm” button again to actually start the player search, even though the bottom right icons make it seem like cancelling is the only option and that the “Confirm” button doesn’t do anything. At least the characters and mechanics are getting worked on, though. I finally decided to start up Mario Tennis Aces again to check the last update they did to the game. As expected, they have not fixed the biggest problems with the game menus and options available. Besides the much needed gameplay balance, one of the things that Mario Tennis Aces really needs are new game options, specially when playing offline. Like I said in my Quick Review a while ago, the game barely has any content and it depends mostly on the replay value of its simple online multiplayer. And the little content that it has is quite complicated and confusing to configure the way you want. Sadly, the rushed updates clearly indicate that the game was released incomplete, similar to how it happened to Mario Tennis Ultra Smash. Similar to “A Look At”, “Quick Review” will be another type of post that I will be sharing on this site/blog from time to time. 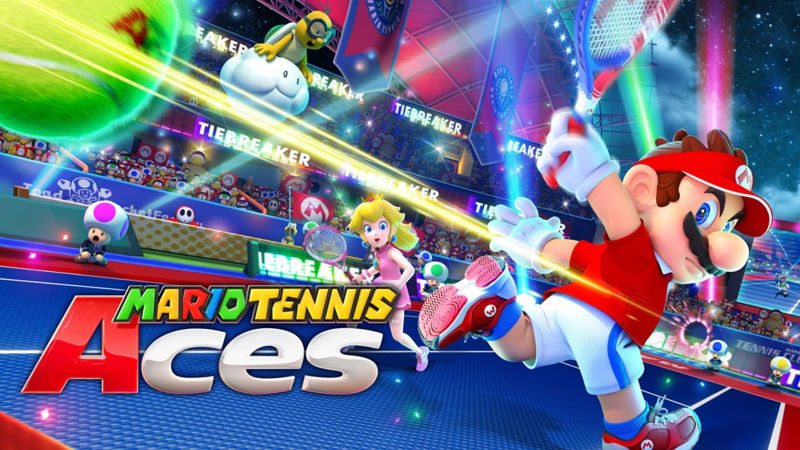 The first quick review will be of the latest Mario Tennis game, Mario Tennis Aces. Aces is not a good game. Is it better than Ultra Smash? Yep, but only slightly. While the Online Tournament Demo was going on and a few days after it finished, I noticed that a lot of people were commenting and excusing the connection issues by saying that this was supposed to be a network stress test and not a demo of how the game really would be. Actually, though, the Mario Tennis Aces Online Tournament Demo was just an advertisement. It was never intended to be a stress test and probably never used as one.